In case readers haven’t noticed, I’m a big fan of meat — I’m about as far from vegetarian as a carnivore can be, although I do enjoy vegetarian dishes (especially spicy ones!). I try to limit my intake of red meat for health reasons, but I occasionally love to prepare steak dishes, such as this one. 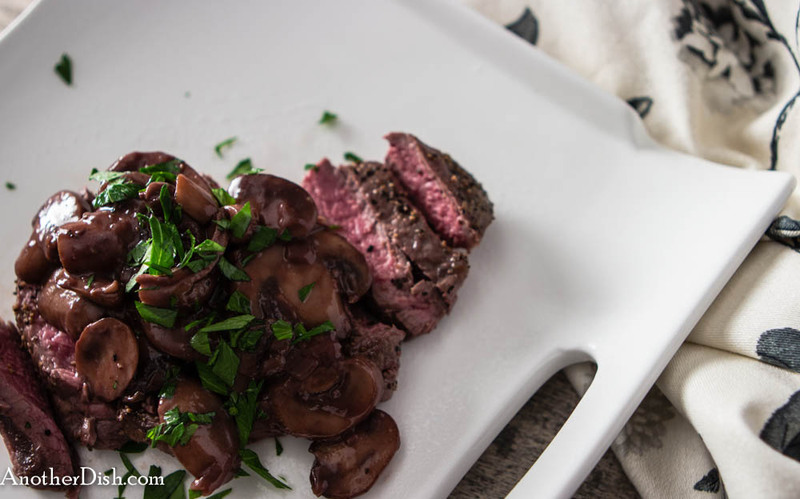 These steaks are delicious, especially with the wine-mushroom sauce! Oh, and one last thing, butter and steak were meant for each other. Give it a try tonight! Place each steak between 2 sheets of plastic wrap; pound to a thickness of 1/2 inch. Sprinkle both sides of the steaks evenly with the black pepper and salt. Cover and set aside. Melt 2 Tbsp of the butter in a large, non-stick skillet over medium-high heat. Add shallots and saute 2 minutes. Add mushrooms, cover and cook for 5 minutes. Remove cover and saute mixture until mushrooms are browned (about 10 minutes). Add flour and stir for 1 minute. Add the wine, port and stock. Bring to a boil and cook until sauce has thickened (about 10 minutes). Season to taste with additional salt and ground black pepper. Remove from heat and set aside. Melt remaining 1 Tbsp butter in a large, heavy skillet over medium-high heat. Add steaks and cook until done (about 2 minutes per side for medium-rare). Transfer steaks to a cutting board. I like to thinly slice the steaks prior to plating, but they can also be left whole. 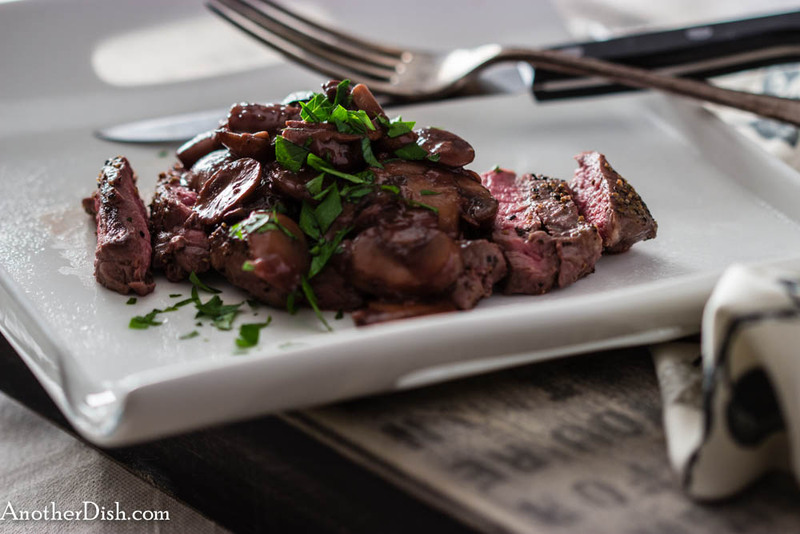 To serve, spoon sauce over each steak; garnish with parsley. This entry was posted in Beef, Comfort Food, Main Dishes and tagged Comfort Food, Cooking, Food, Food Photography, Foodie, Recipes, Steak on January 5, 2014 by AnotherDish.